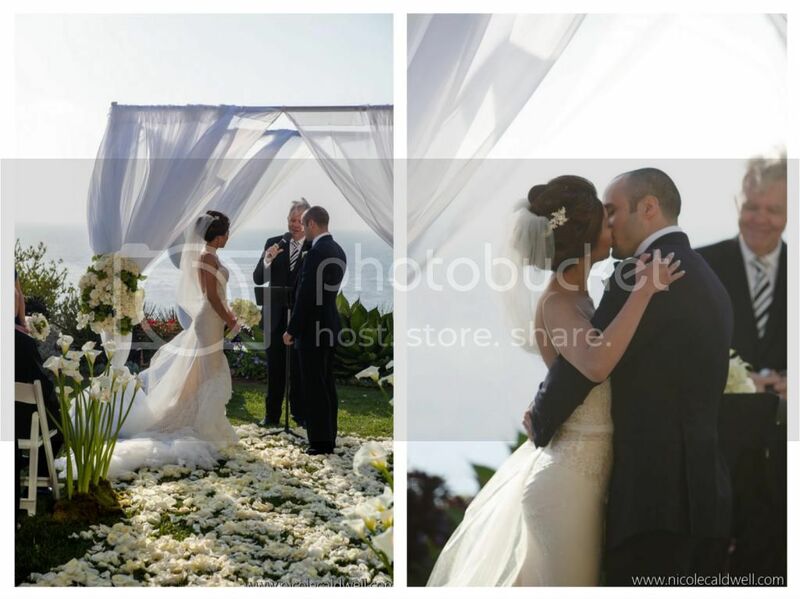 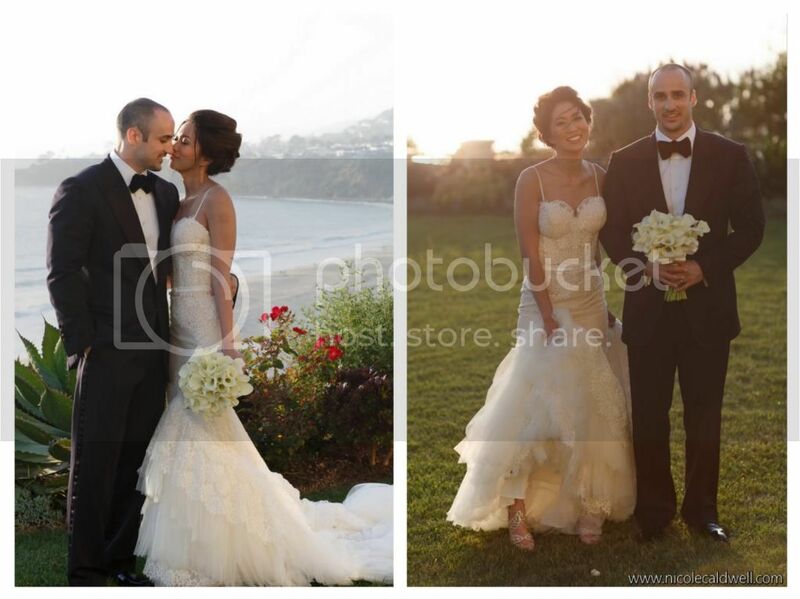 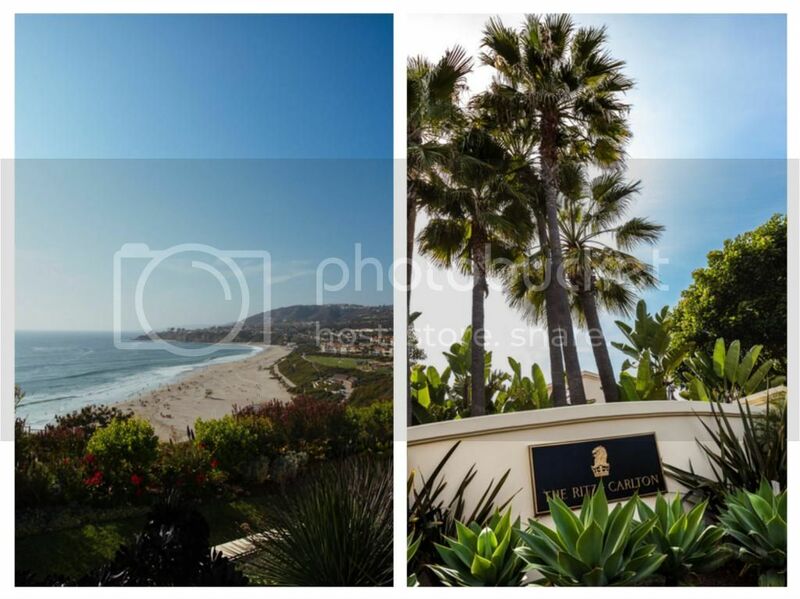 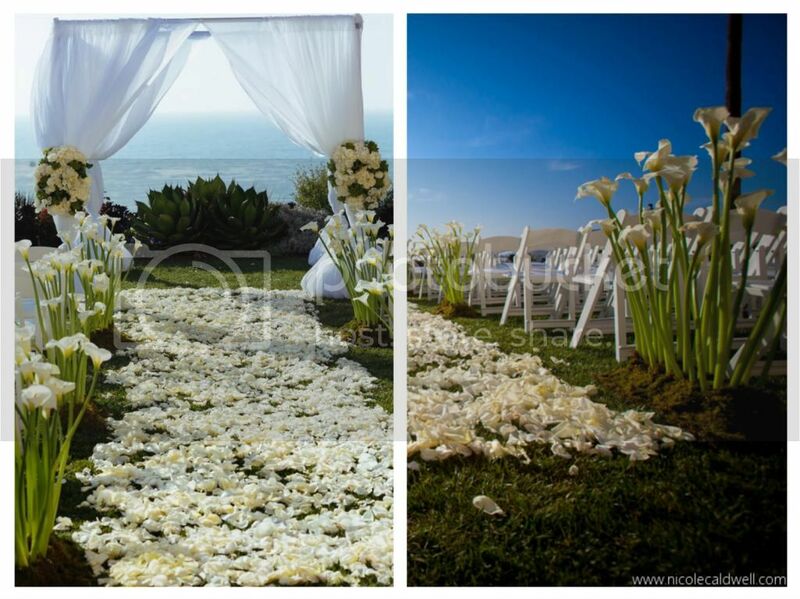 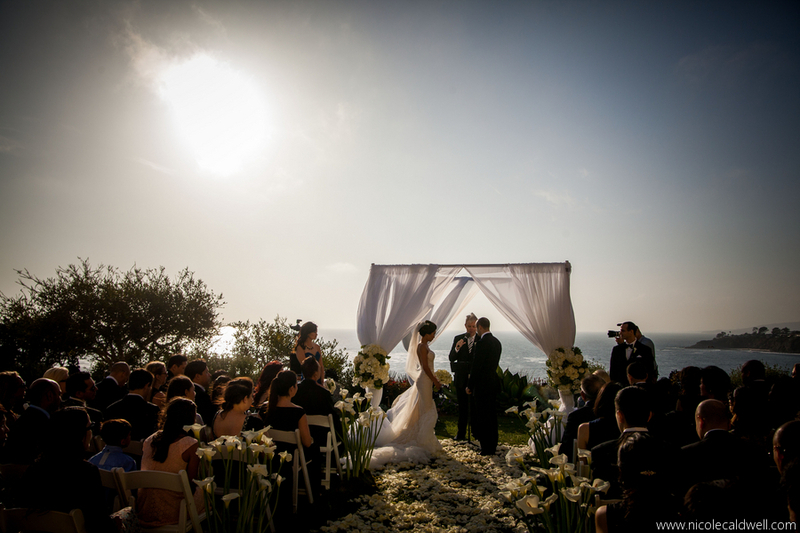 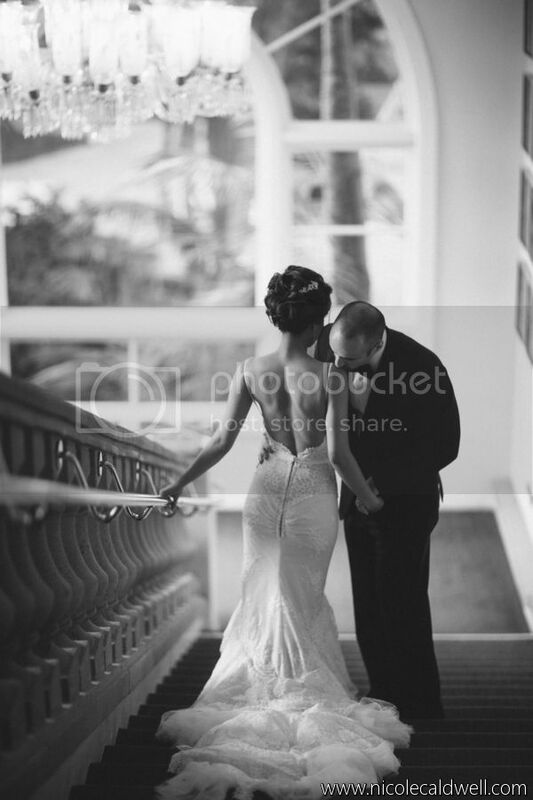 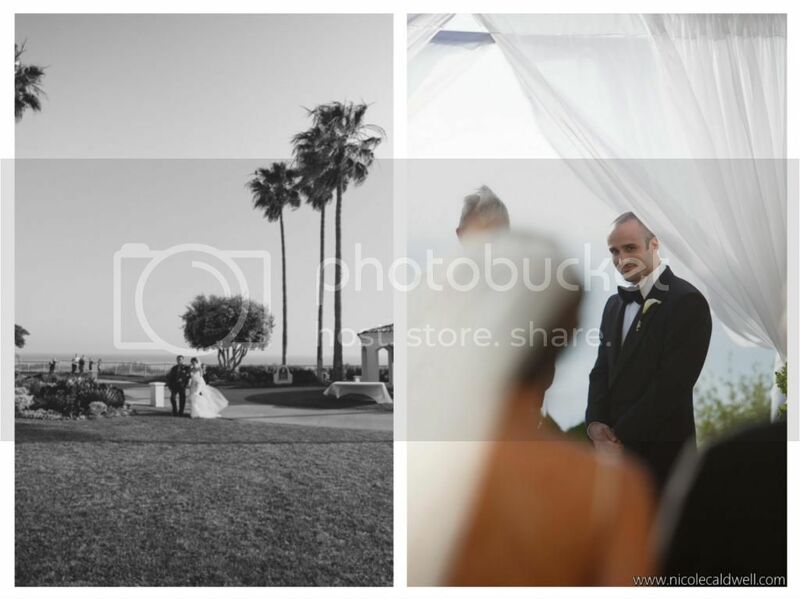 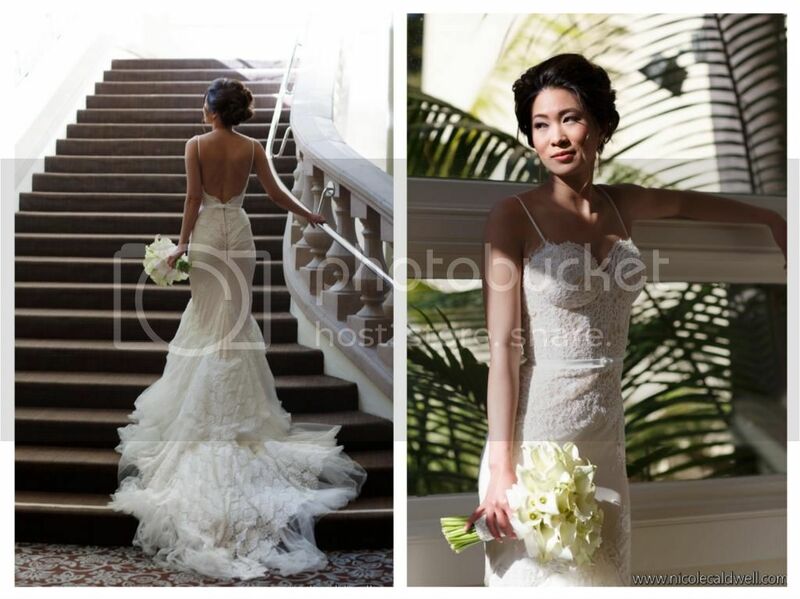 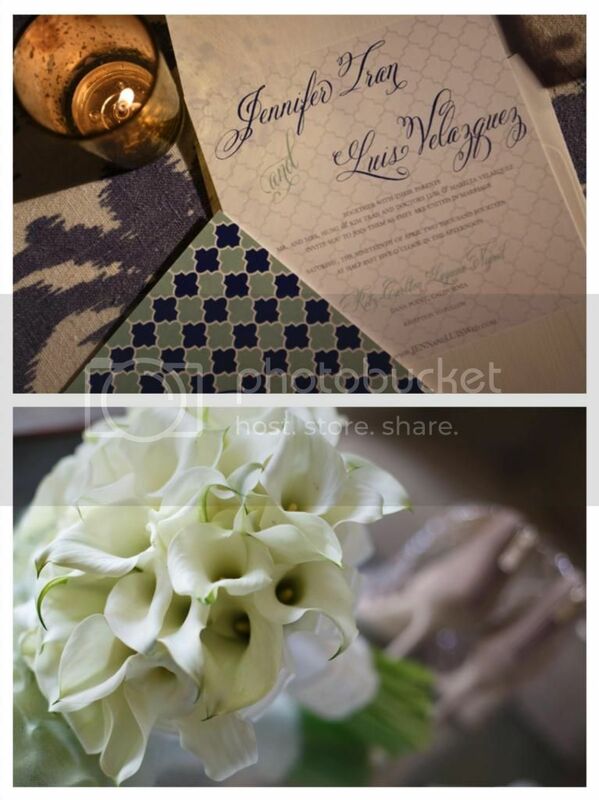 Jennifer and Luis were married at the cliffside Ritz Carlton Hotel in Dana Point with a breathtaking ocean view. 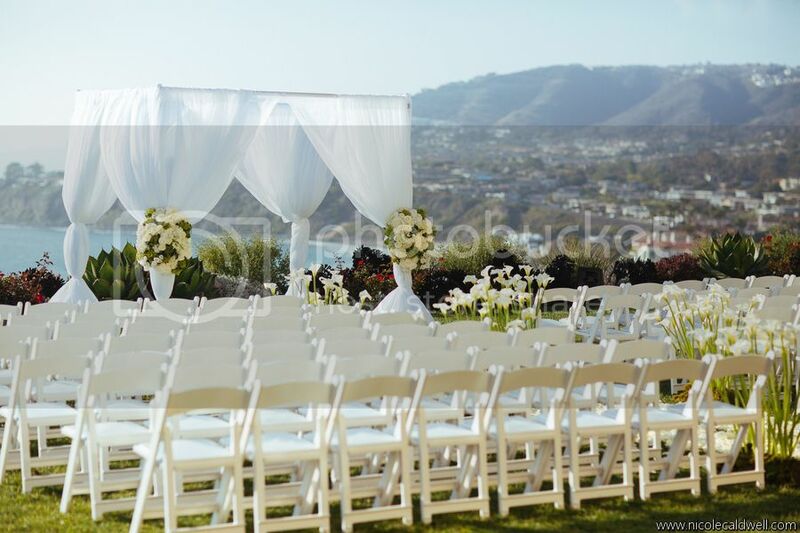 The stunning Bride and Groom created an elegant and modern celebration with the design help of Natalie at A Good Affair Weddings & Events, and Square Root Designs. 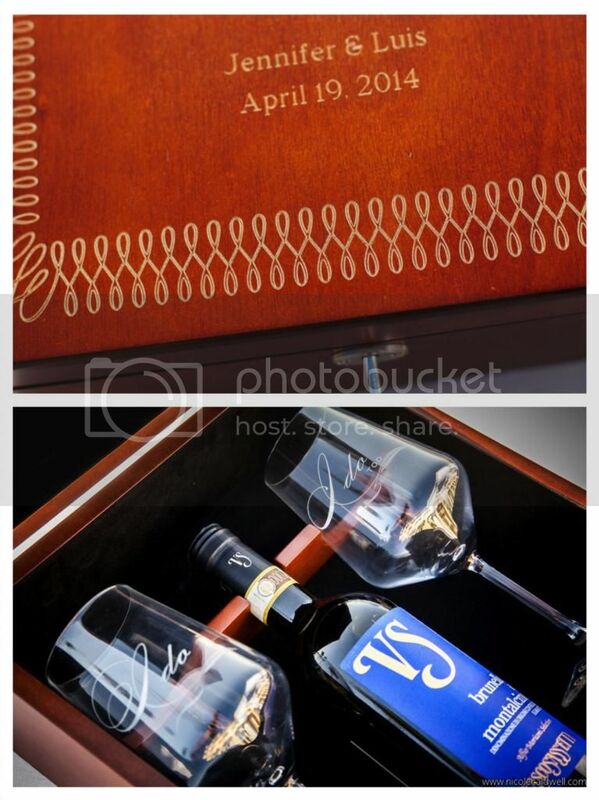 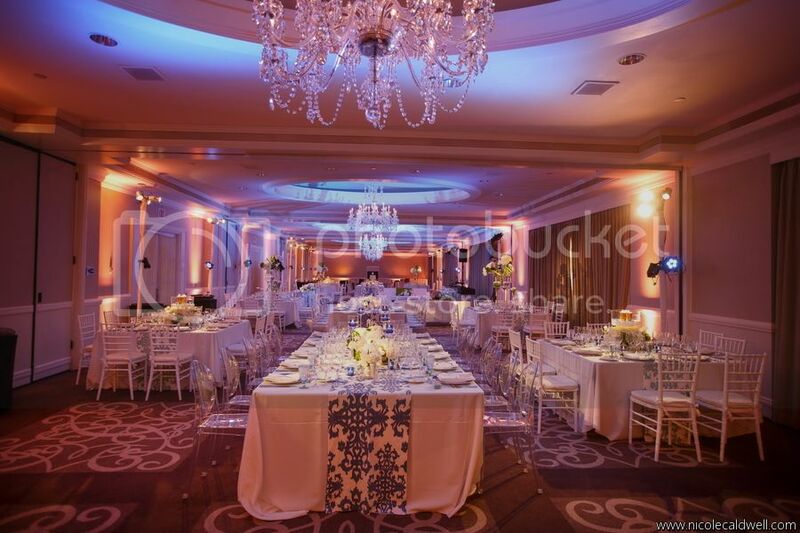 We were beyond excited to provide all of their wedding lighting to accentuate and complete the design. 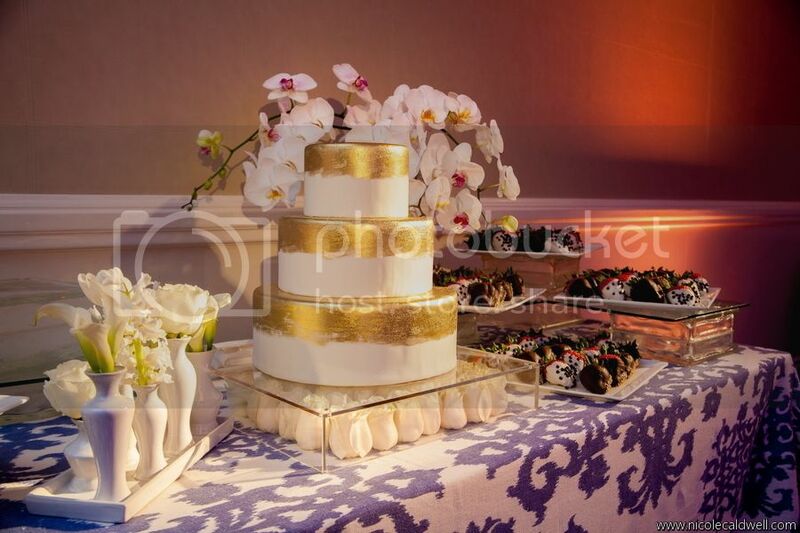 With blue and gold decor details throughout the reception, Elevated Pulse created a "sunset" palette with two toned lighting. 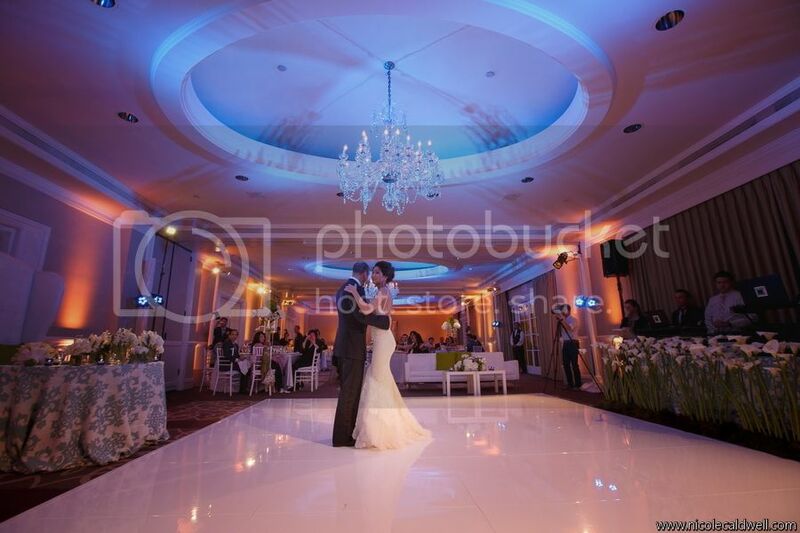 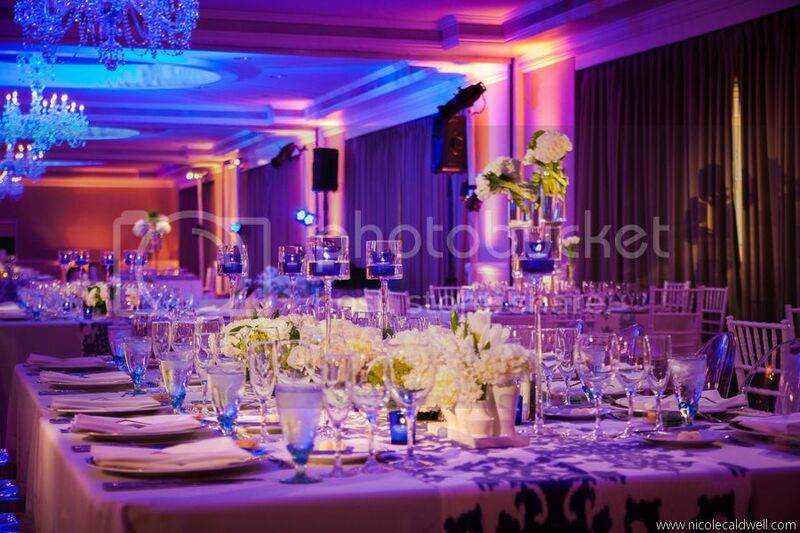 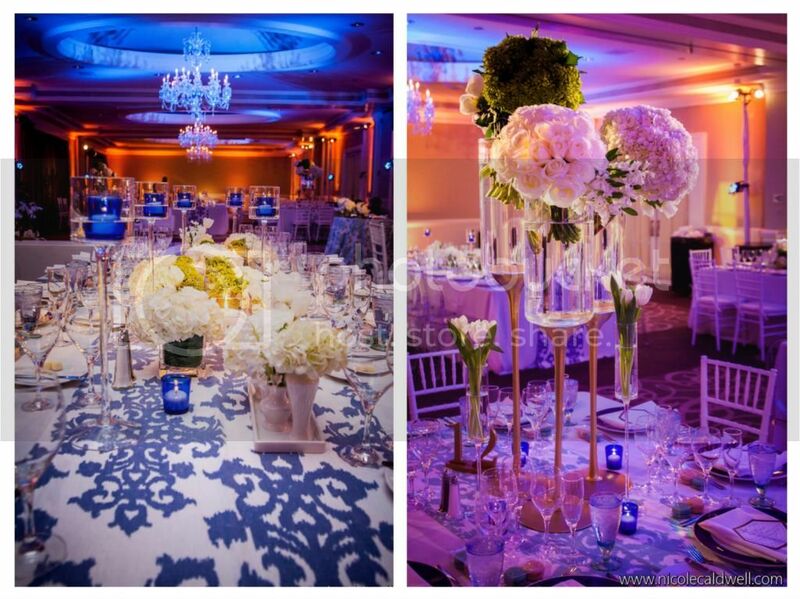 With the use of pin spot lighting, wash lighting, and uplighting, the Ritz Carlton ballroom was glittering. 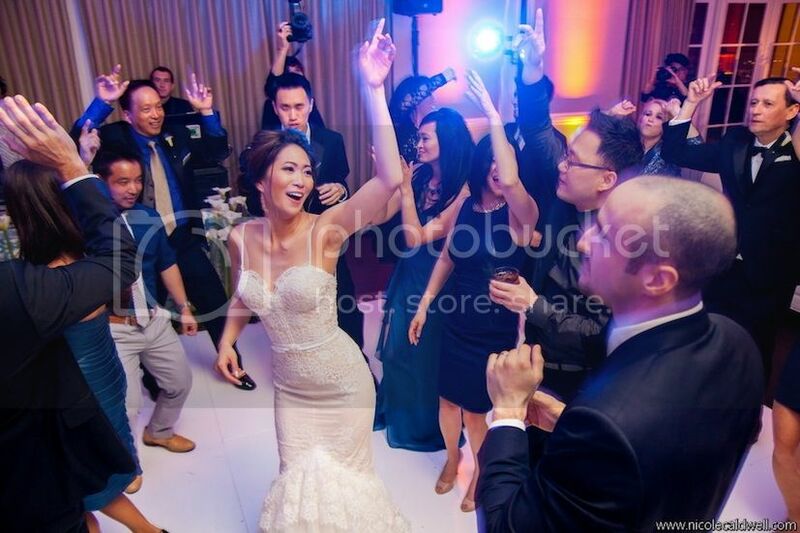 To top if off, Jennifer and Luis had such lively group of wedding guests, the dance floor was never empty. 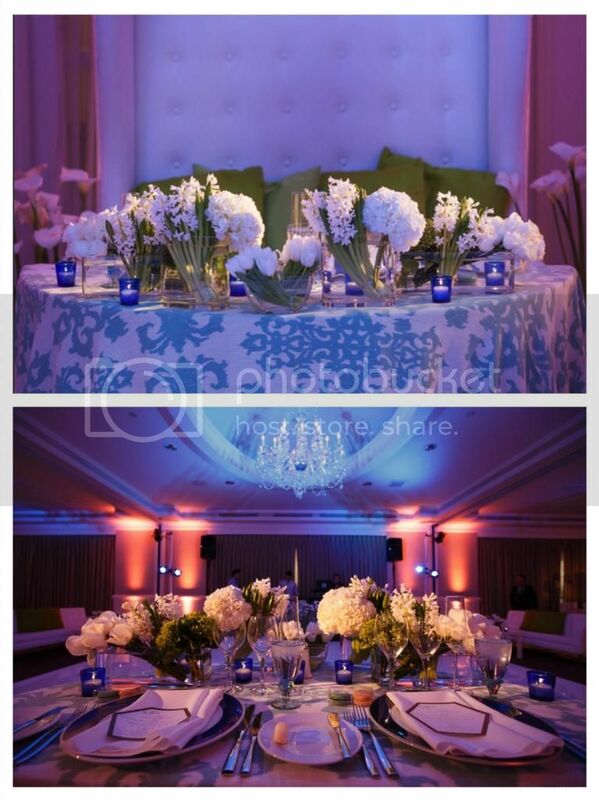 We enjoyed playing a variety of music to entertain both the young and older guests. 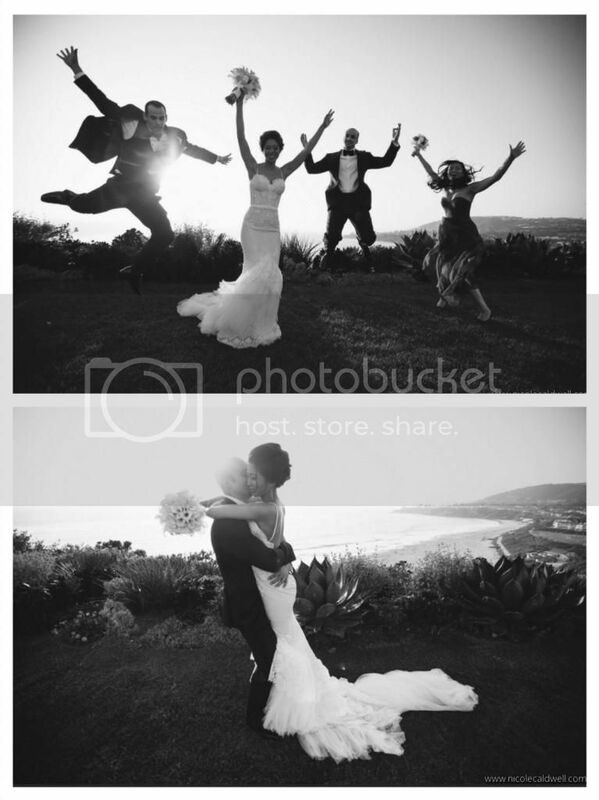 This is definitely a wedding we won't soon forget! 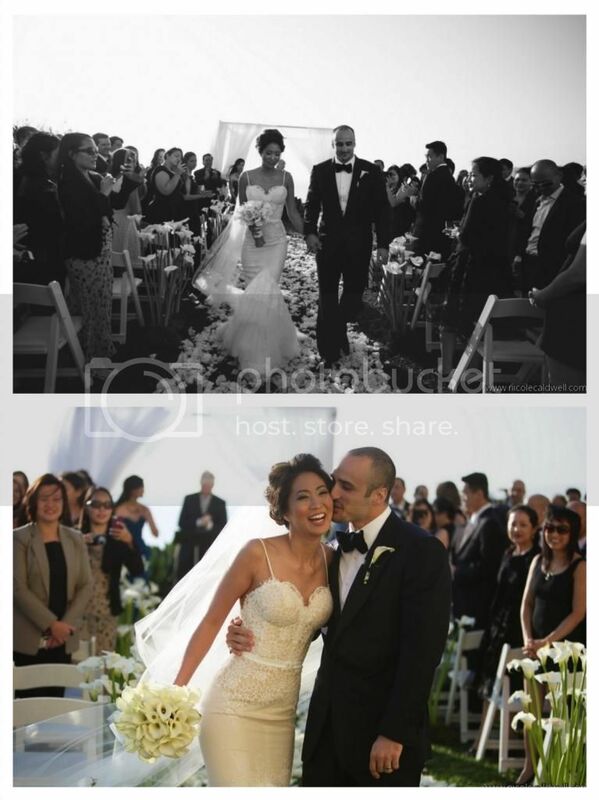 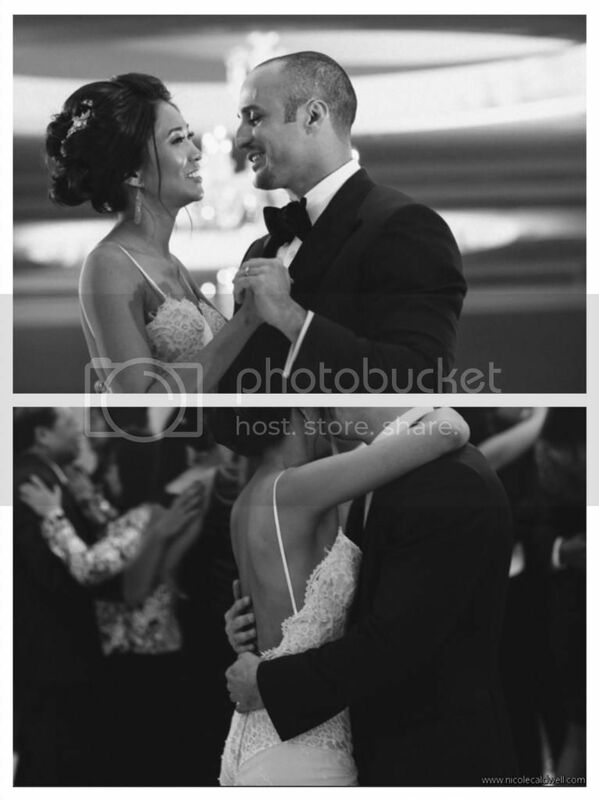 Congratulations again to the Bride and Groom!